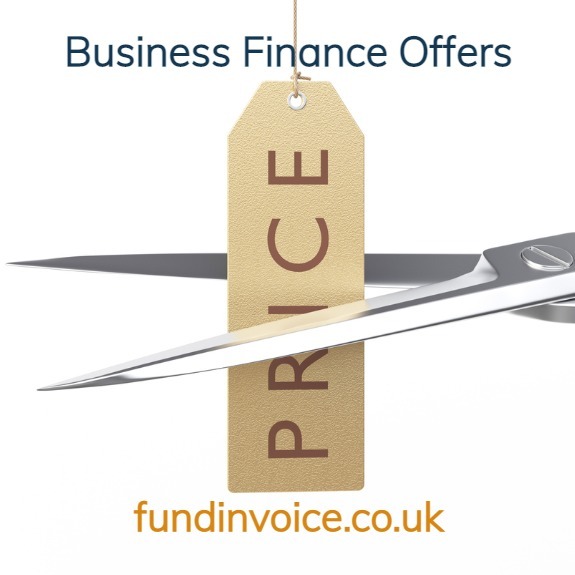 We are in contact with all the major invoice finance companies within the UK, so we are aware of all the latest special offers and discounts, as they are launched - the current offers are shown below. Conditions may apply to all offers and discounts above, they are only offered by particular providers, to new customers (unless otherwise stated). Contact us for details and specific conditions. Note that any offer may be withdrawn without notice and any provider may decline to offer to your business at their absolute discretion. Business Name * Please include this! Email * Please include this!